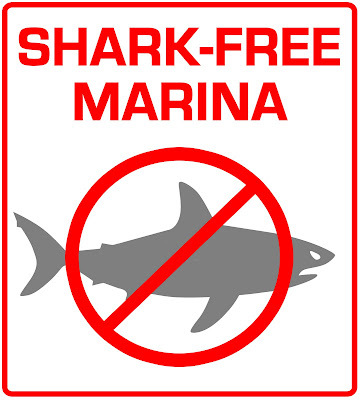 Patric, over at Underwater Thrills - Swimming with Sharks, has a great post and idea that I think is just phenomenal: Shark Free Marinas - think smoke free areas in Marinas talking specifically to anglers that choose to kill sharks and show them and themselves off at Marinas. This initiative, if implemented, will definitely increase the catch-and-release practice and save the lives of many sharks. As far as the Marinas' go, they could further promote themselves as Green and eco-friendly. Thanks guys for posting this. One main point to add. Feel free to take this and brand it to your own company if you would like or just pass it on. We are supplying each marina that joins on in the Bahamas region with a metal sign with the logo on it for the marina. That's our contribution. We can also show you where we got the signs and how inexpensive they are. They can also be made in vinyl. One person. One website. One blog at a time.